Atsuko Natsume is the most popular girl at Futaba University. But she has a secret. She is Cat-brained Android created Kyusaku Natsume. Created to showcase his genius. Atsuko known as Nuku-Nuku protects Kyusaku and his son Ryunoske from the machinations of Mishima Heavy Industries. Also a side story set during the OVA Universe. 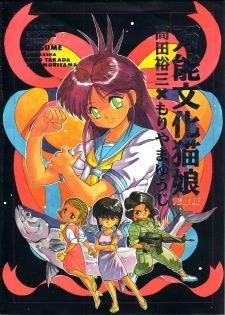 Bannou Bunka Neko-Musume was published in English as All Purpose Cultural Cat Girl Nuku Nuku by ADV Manga on August 17, 2004.